Bring out the man in you with the VILVAH Beard Oil which softens and nourishes your beard and promotes faster growth. This is your go-to choice to maintain your legendary mane. Note: All VILVAH products are free from animal testing and contains no parabens, sulphates, silicones, GMOs, artificial fragrance and harsh chemicals. All the ingredients used are natural and plant based. About the Brand: VILVAH is an all-natural skincare brand, which makes skincare goodies with freshest ingredients. They bring you the right mix of agricultural produce, carrier oils, butters and essential oils to nourish your skin by embracing the simple yet effective properties of the ingredients. Produce obtained in its purest form, without any harsh chemicals, additives, synthetic oils or perfumes is the very basis of VILVAH. The painstaking effort to source out the finest raw materials reflects in their products. Explore the entire range of Beard & Moustache Care available on Nykaa. 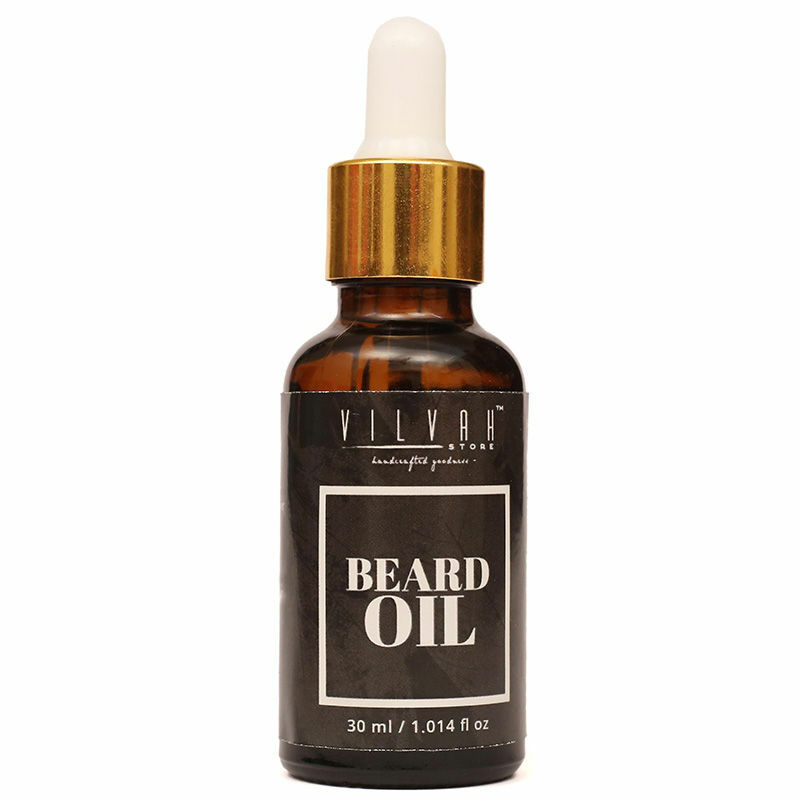 Shop more VILVAH products here.You can browse through the complete world of VILVAH Beard & Moustache Care .